That was very helpful, thanks for taking the time to but it all together. I am now convinced that I should get one, base on your reviews and photos. – what resolution you used for X calculations? 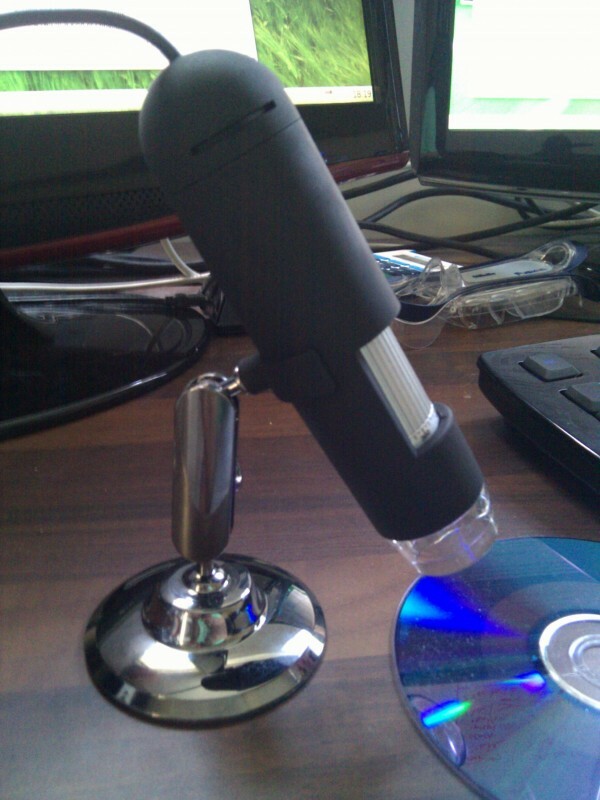 @Mikl1984 It’s possible it could be wrong but magnification isn’t a great method. This was done at a resolution of 640×480 although the camera specifies it can do 1.3Mp this is probably through interpolation. I show my calculations a bit better in my post about my previous microscope, I am using a different screen now but that will make minimal difference. Better way of looking at it is saying that at maximum zoom you can see about 500um and is capable of defining objects that are about 10um (the green pixels of my phone’s screen). 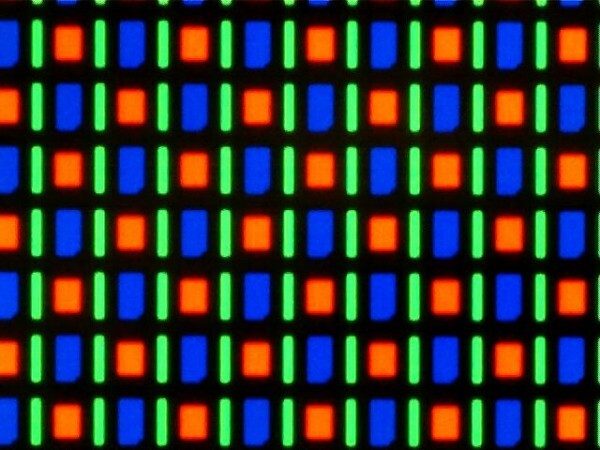 Are it 1280×960 or 1280×1024 as max non-interpolated? Please check this method for very similar device. @Mikl1984 From a quick glance at that method it looks the same as the method I have used, please see my method in previous post. With the software I was using it only offered 640×480 but I’m sure it should be capable of 1280×1024 (1.3Mp), haven’t had chance to play with it properly yet. Also the person in that post is mistaken, the full range of 20x-400x (or near enough) is available, but as you change the distance between the two lenses the focal distance changes and the distance to the sample needs to be adjusted to correspond. And I forgot to say before the LED’s cannot be altered in software, the thumb wheel potentiometer on the top of the microscope must be used. The main question now what lens used and what CMOS resolution and size? Please post photos of box and stickers(on device and box). 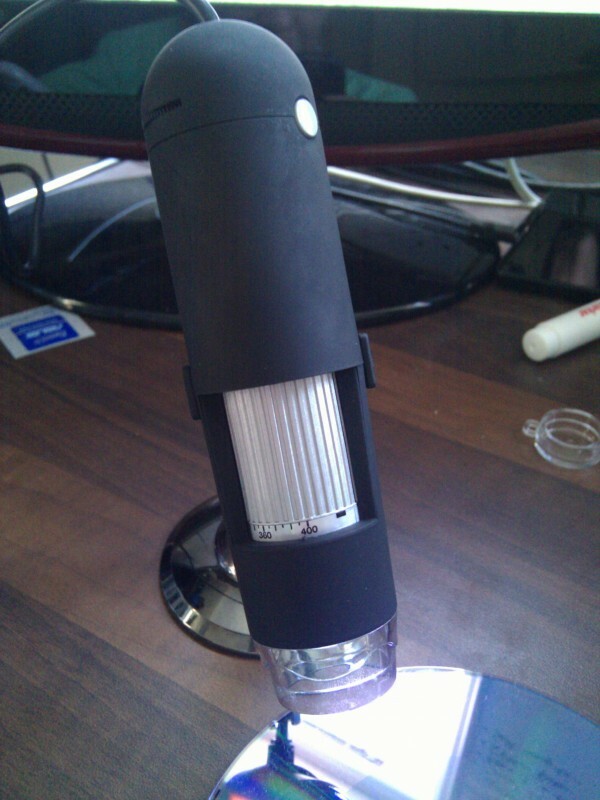 @Mikl1984 It is the exact same microscope as in your link. I believe this is a driver free cam, and I didn’t require anything in linux. Inside the microscope itself? or inside the box? 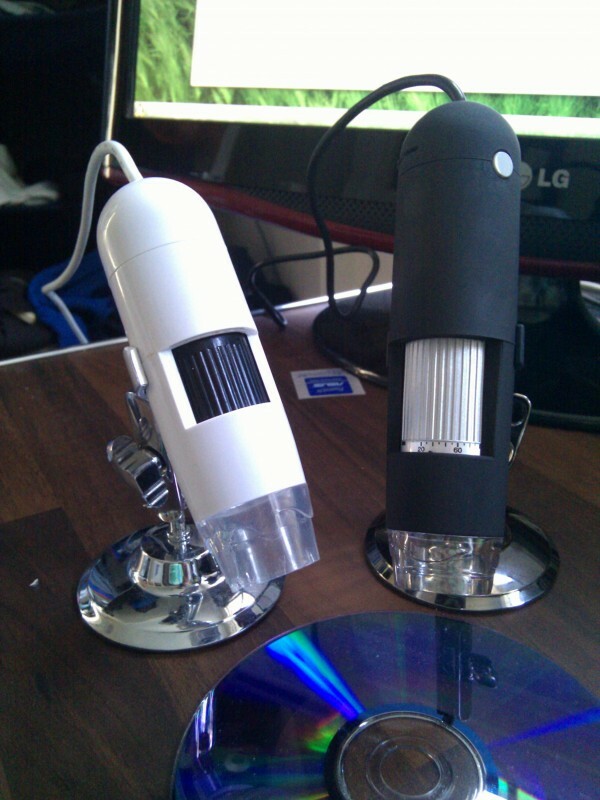 If you care a lot about the insides, you could just construct your own microscope camera (good place for projects is hackaday). Have you any CD in box? Have camera any sticker with name, serial number or smth else? As I said before, it is probably a driver-free webcam and will just work. I think you are trying to over-complicate the matter. Thank you for the review. However when I follow the link to the new microscope in your post, I come to a 200X zoom white-color microscope. Did you specify the wrong link or did they change the link perhaps? Could you double-check and provide the link to the product that you bought on dealextreme? I want to buy it and be sure that I get the exact same model that you reviewed here. Yup, must have been a copy and paste error on my behalf sorry!. 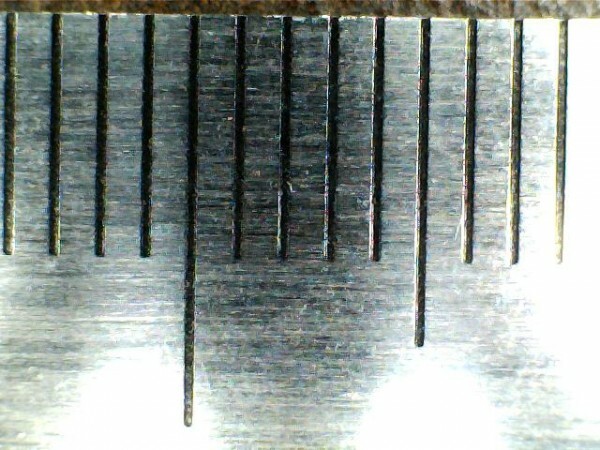 I’ve updated the links in the post (400x microscope). Thanks for pointing it out. Also as a bonus it seems that I have uploaded a photo of me and a bear with some false teeth to that dealextreme page by accident instead of the images of the microscope, classic. Probably, it is a driverless webcam should work on all OS’s. 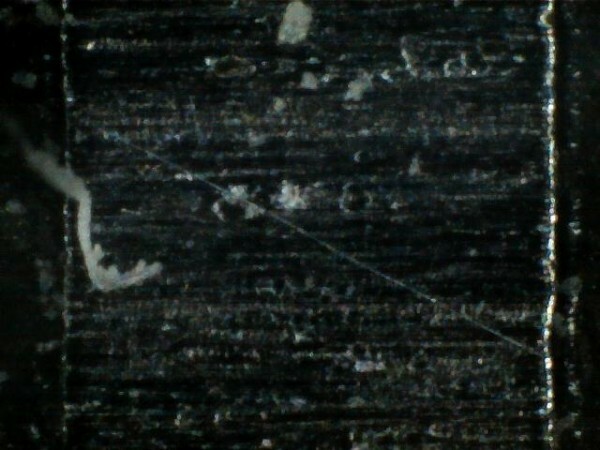 At a .5″, 1″, 2″, 3″, and 5″ working distance between the object and the microscope – what is the maximum zoom? Could you take a picture of the *arms hairs* for the respective working distances and maximum zoom? Hi there. Great post. I realise that it’s over a year old, but was wondering if you could help me with something. I recently got a micrscope that looks identical to your old one (minus the button), that’s also 20-200x. 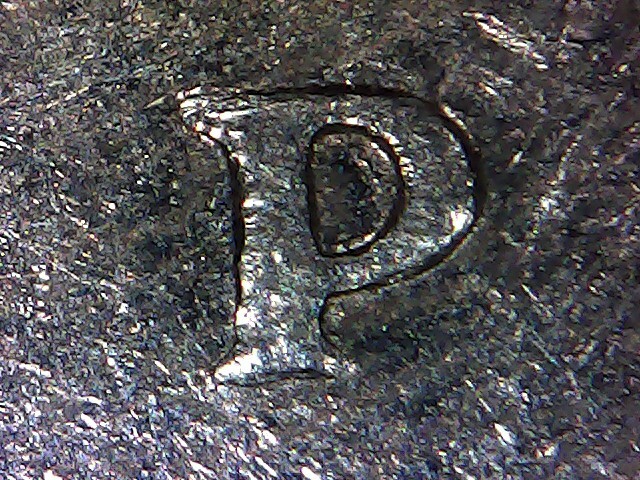 Here’s a shot of the ‘P’ on a 10p (http://i.imgur.com/MRfOG.jpg), and as you can see it looks almost identical to your one. The thing is, you have a min and max zoom. Are these both taken with the object at the same distance? I can only ever get one focal point. I’m not sure if its something I’m doing, or if my micrscope just isn’t very good (it was dirt cheap, which is why I bought it).